It’s my first post for the year! The year started off pretty well. I got some great photos during the fireworks display on New Year’s. I was pretty proud of myself when I was able to capture the timing right. The shutter clicked as soon as the bright fireworks exploded simultaneously. 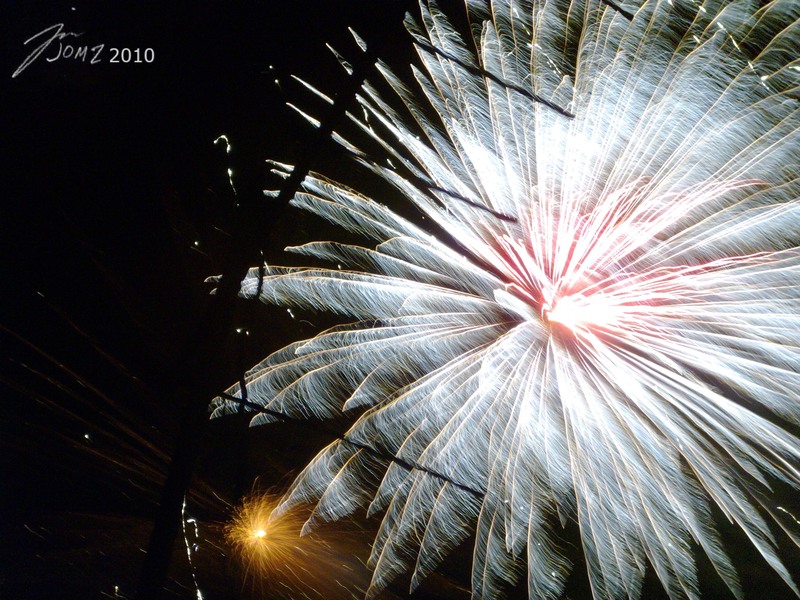 I hope that this 2011 will enable me to shoot more amazing photos and create more art. What about you? Do you have some fireworks photo that you would like to share? Link them in the comments. Posted in Life.Tagged fireworks, new year, photography, photos, resolution.